The Garrett ATX is the first pulse induction (PI) metal detector that Garrett has released that is specifically designed for gold prospecting. It offers one of the alternative options to the many Minelab PI detectors that have dominated the market for the past 2 decades. The ATX may seem expensive compared to other metal detectors on the market, but this is because the PI technology is completely different than most other detector sold today. The Garrett ATX is specifically designed to find deep, large gold nuggets in highly mineralized soils that most detectors do not function well. The heightened sensitivity and user-friendliness makes the price well worth it. The model comes in at around 6.5lb, heavier than most similar metal detectors; partially because it requires eight standard AA batteries to operate. It’s military style design also adds to the weight. The model also sacrifices the LCD screen for more standard, straightforward LED indicators that show information regarding signal strength and current settings. Though this may be a bit of a downfall for individuals who are used to a vibrant LCD display, the LED indicators provide information quickly in a clutter free format that many users can appreciate. Though the model is a bit heavier than most, it does offer an adjustable armrest helping to improve comfort; the product is also fully collapsible (up to 20’’) for ease in transport and storage. This model also has a multi-pulse operating frequency that aids in actively distinguishing mineralized soils. On top of the LED indicators that aid in conveying information to the user, audio can be played both through an external speaker located on the unit or through an audio jack. The installed automatic ground-tracking feature constantly adjusts the sensitivity of the unit, helping it to perform at optimal condition. There is also an automatic ground balancing feature called “Fast Track,” making it even more reliable when trying to distinguish mineralized soil from actual metals. Despite the Garrett ATX’s durability, it does suffer slightly from a reduced battery life. On average, the ATX with eight fresh AA batteries will last about 10+ hours. However, the model does come with a battery charger and rechargeable batteries, helping reduce the number of new batteries you may need to buy. It also has a two year guaranteed warranty (which may be a bit lower than most metal detectors) but is not a major cause for concern since the ATX is extremely durable and there have been few reports of any problems or defects with this detector. The rugged nature, flexibility, and heightened sensitivity make this unit extremely dependable. Coming in at around $2000, the Garrett ATX is priced very competitively compared to nearly all other PI gold detectors on the market today. Another great thing about the ATX is that it is compatible with three different coil types: a 12’’ DD coil, a deep-seeker 20’’ coil, and an 8’’ coil. The 12’’ coil is the default, but can be switched out with ease, and the different coil sizes give great flexibility for users depending on the situation. 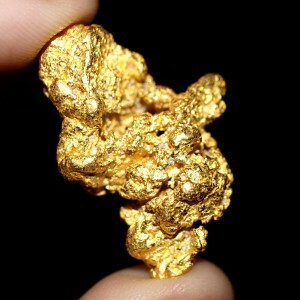 For deep, large gold nuggets, the big 20” coil is the best option and can find large metal objects at great depths. In shallower bedrock areas where the gold nuggets are expected to be closer to the coil, the smaller 12” or 8” coils will have the greatest sensitivity. All coils can be locked at a ninety-degree angle, making it easier to scan embankments. In terms of functionality, the Garrett ATX is water resistant, rated to be used at a depth up to 10 feet. Until the release of the ATX there were very few good options for gold hunters to use underwater, and this detector opens up new possibilities to hunt in shallow water areas that you would be afraid to take most other metal detectors (The other good waterproof PI detector right now is the Minelab SDC 2300 ). Because of its strong exterior and rugged nature, the ATX is excellently designed for all terrain use: whether it is being operated in wet, humid, or dry environments, the ATX can handle all without losing a significant amount of sensitivity, making it a true military grade piece of equipment. The Garrett ATX is an excellent choice for prospectors who want a detector that can handle highly mineralized soils and detect deeper than most other metal detectors on the market today. Though it does not come equipped with an LCD screen, the unit is extremely responsive and indicates all that is needed through simple to read LED lights. Its water-resistance, strong build, and reliability make it well worth the price.